A Hollywood-style movie premiere right here in Central California for a locally created and supported horror film soon to be released across the country. FRESNO, Calif. (KFSN) -- A Hollywood-style movie premiere right here in Central California for a locally created and supported horror film soon to be released across the country. A thrilling night here, especially for the two theaters full of people. "The Gallows" was shot entirely in the Central Valley with local extras and crew members. It was created by two filmmakers who live in Fresno and even the cast of young actors says they fell in love with our city. Shot at several different high schools and theaters in the Central Valley, "The Gallows" tells the story of high school students who attempt to resurrect a school play from 20 years ago where a student was accidentally killed during a prop malfunction. It was a black carpet event for this Fresno-based horror movie starts the cast and crew on their path toward nationwide release of the small budget production. "We were driving up and I was taking video of all the people just standing there as we were driving in from the hotel. It's amazing," said Ryan Shoos, "The Gallows." "The fact that they're all here for us and this movie, is incredible," said Travis Cluff, "The Gallows" director. They've rolled out the black carpet for the Valley premiere of the new horror film "The Gallows." Cluff and his film partner Chris Lofing only dreamed of this, but the Hollywood-esque premiere proves dreams come true -- especially for the young cast. "We did a couple of press junkets earlier this week. And that was pretty incredible. But something like this where people want to talk to me and this mic is in my face. This is so amazing," said Pfeifer Brown, "The Gallows." Shot over four years, the cast and crew even started calling Fresno home. "I absolutely love Fresno, and I promise you I'm not lying," said Brown. "Filming at the Veterans Memorial and Warnor's Theater, some of these places that are actually haunted, it was very beneficial for them to not be familiar with that," said Lofing. "An element surprise for the actors?" Asked Rick Montenez, ABC30 Action News. Mayor Ashley Swearengin dropped in on the premiere to declare this day "The Gallows Day" in Fresno. "It's blossomed into this, which is just insane," said Reese Mishler, "The Gallows." Fresno leaders hoping this sparks others to create big box office movies here in the Valley. 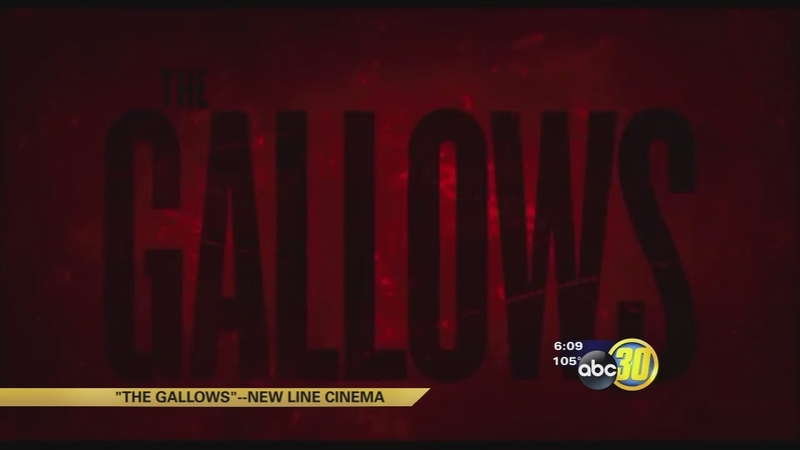 "The Gallows" opens across the country on July 10th.